Protest against Keystone XL pipeline. 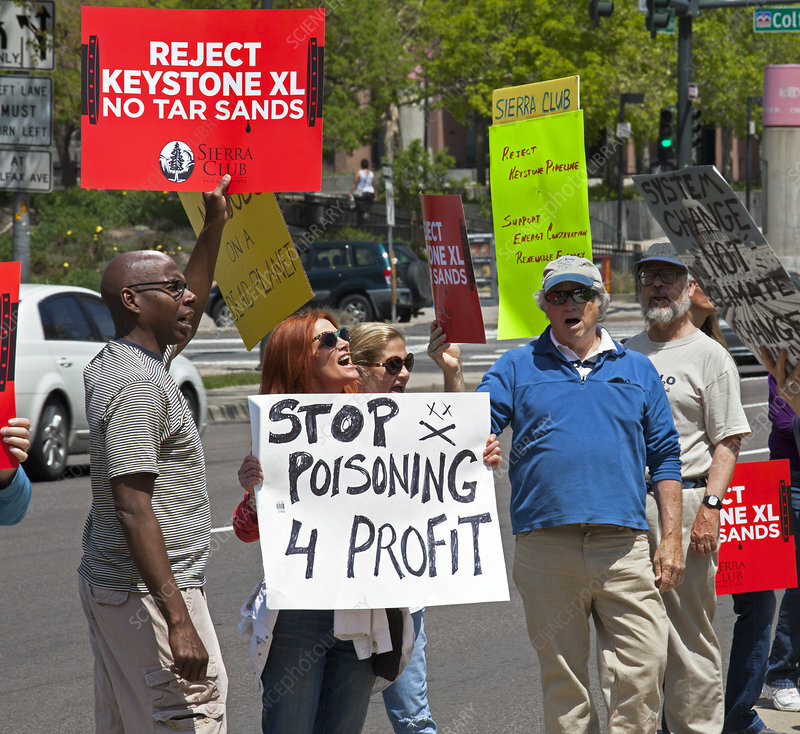 Environmentalists campaigning at the Colorado state capitol to oppose the planned Keystone XL pipeline, which would transport tar sands oil from Canada to the US Gulf Coast. Photographed on 17 May 2014, in Denver, Colorado, USA.